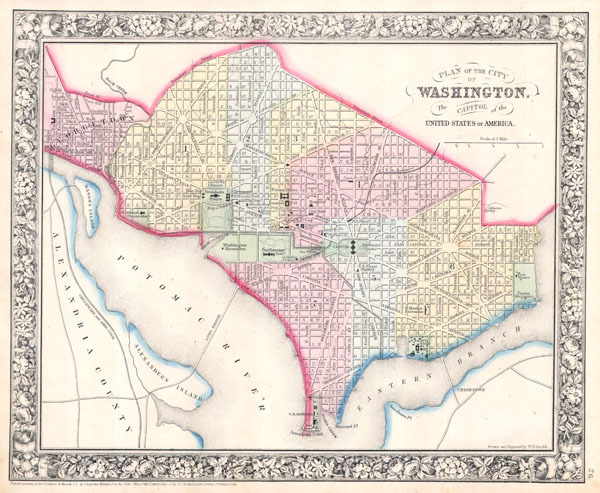 1864 Mitchell Map of Washington D.C. Details 1864 Mitchell Plan or Map of Washington D. C.
Plan of the City of Washington The Capitol of the United States of America. Very good condition. Blank on verso. Wide clean margins. Rumsey 2483.019 (1870 edition). Phillips (Atlases) 831-16.